A chance to wind-down before Shabbat Candle Lighting and Shabbat Dinner. Enjoy complimentary hors d’oeuvres, wine & cocktails. Shabbat Candle Lighting with Rachel Bookstein. Shabbat Circle / Meditation / Kabbalat Shabbat Service with Explanatory Additions. Private**, beautifully catered, Shabbat Dinner with industry friends and (RSVP-only) special guests. Hosted by Suzanne Felson (Reso / The Jewish Skinny), Nick Meyer (Sierra/Affinity), Michael Helfant (Troika Pictures), Craig Emmanuel (Loeb & Loeb LLP), Dan Adler (Media Eagles), Rachel & Yonah Bookstein (Pico Shul / Shabbat Tent), Yehudi Steiger (Chabad Park City) and JConnect. **Ticketed guests only. Please use the RSVP link to purchase advanced tickets. No tickets will be sold at the door. A Shabbat-themed, dessert party with swag, hors d’oeuvres and open bar. Come with friends, meet new people and enjoy an unplugged chill to begin an amazing Sundance weekend. * Due to capacity of the venue, we apologize in advance if you have to wait if the room is full. Please note, we’ll be open until 1:00am so feel free to come back later. Shabbat Morning Yoga and Meditation. LA’s Pico Shul is renowned for their joyous and mindful, traditional-style Shabbat Services. Alternative Shabbat Morning Service w/ Yonah Bookstein and Fabian Lijtmaer. Shabbat Kiddush reception, with delicious food and drinks, for everyone, on the house. Shabbat afternoon Open-House w/ hot food & drinks on the house. Musical Havdalah. As Shabbat ebbs away, we welcome the rest of the weekend. Food, drinks and special music performances! STAY TUNED FOR SATURDAY NIGHT EVENT UPDATES! 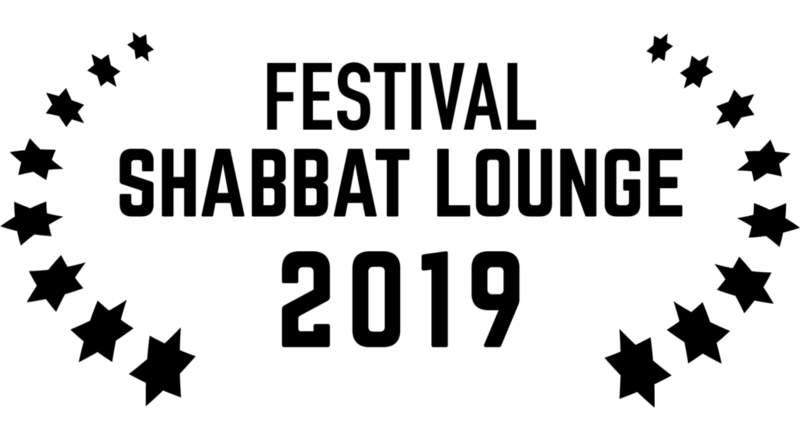 Shabbat Lounge is a welcoming, dynamic, and inspiring space to unplug during festivals, a fusion of great Jewish hospitality and 21st century tech-detoxing.